LOVE IS A DEAL BREAKER . . . Millionaire ad executive Landon Downey has a policy: no romantic relationships allowed. So when he’s saddled with his six-year-old nephew for a week, he doesn’t think twice about asking Kimber Reynolds to act as live-in nanny. What he doesn’t expect is the undeniable attraction to the woman he hasn’t seen since they were kids. And not only does she like him back – she suggests they work their way down a list of extracurricular activities in the bedroom. How can he resist? Kimber wants to prove once and for all that she can love ’em and leave ’em with the best of them. 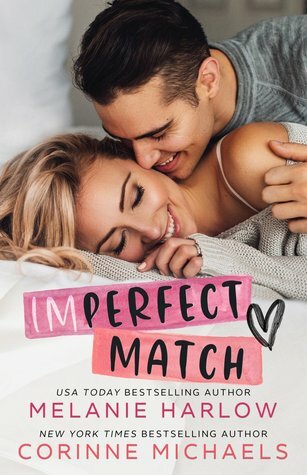 All she has to do is keep her sixteen-year crush on Landon out of the equation. No problem . . . until she realizes she may not be the only one whose heart has gotten completely tangled up in their no-strings agreement. Oh. My. Gosh! 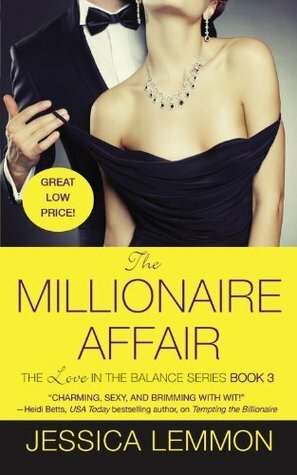 I completely fell in love with “The Millionaire Affair” by the exceptionally talented, Jessica Lemmon. It was by far my favorite book in the entire Love in the Balance series, and it completely blew me away. 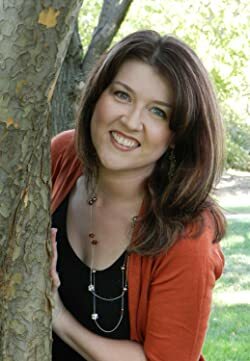 I loved Landon and Kimber – Don’t you just love their unique names? – and thought they were amazing and relatable main characters. I honestly couldn’t have asked for anyone better. Landon and Kimber had wonderful personalities and they complemented each other very well. I loved their electric chemistry together and how their relationship progressed throughout. It was slightly unconventional in the beginning, and they endured some ups and downs along the way – What relationship doesn’t? – but I was freaking ecstatic with the conclusion to their story. I fell in love with them from the very beginning, and I honestly couldn’t get enough. I finished “The Millionaire Affair” in under two days, if that’s any indication of how amazing this novel was. I loved how the book was told from both Landon and Kimber’s alternating POV. It was also wonderful to see Shane and Crickitt and their beautiful baby, as well as Evan and Lyon, and Aiden and Sadie, among others. Landon and Kimber’s story was special and I couldn’t have chosen anyone better than Jessica Lemmon to tell it. It was truly remarkable and one I will never soon forget. I am so sad that this series is over, but I am also happy because I know it won’t be my last Jessica Lemmon novel. She did a phenomenal job with TMA and I loved her writing style even more in this one. I truly can’t wait to read more contemporary romance stories from her!